We are passionate about inspiring and nurturing each child in a rich Christian environment, where they discover a love of learning. We are family orientated school that is small enough for every child to have a chance to find their unique talents and individually shine. Our small class sizes mean we know each child extremely well, can personalise learning to their individual needs and give plenty of one on one attention so they feel nurtured and supported. 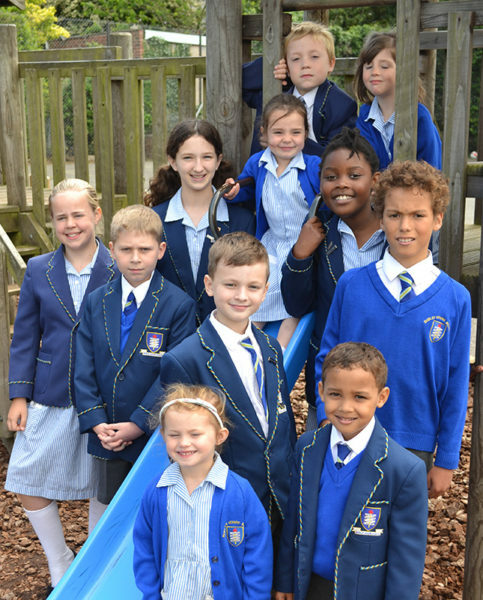 Pupils interact with friends from different age groups across the school on the playground, in sport and performing arts. The smaller class sizes are excellent for focusing on academic work but do not reduce any interaction and enjoyment with a wider group of friends throughout the day. Our pupils learn to uphold values that are important in a changing and diverse world. Our pupils are encouraged to strive for excellence in all they do and are praised for their achievements both great and small. They are encouraged to develop self-esteem, good character, a sense of responsibility and an awareness of the wider world. Pupils regularly compete throughout the year against children from other local schools in a range of sporting tournaments and competitions, as well as in performing arts and music festivals. We are proud of our pupils continued successes and achievements when they move to the local grammar or secondary schools. For over 50 years, Dudley House School has prided itself on providing an inspiring environment for pupils who come from a variety of cultures and social groups. Why not come and join us? It is difficult to describe the unique character of Dudley House School, so we encourage you to make an appointment so you can experience for yourself our special ethos and nurturing environment. Please telephone the school on 01476 400184 to make a mutually convenient appointment. We look forward to seeing you.